I know some people seem to have a dislike for cabbage, but I'm not one of them. I remember my Mom boiling it until it was a soggy mess, and it's certainly true that I don't like it like that. But when it's sautéed with butter and seasonings, it tastes delicious. This is an Ina Garten recipe, and like all of her recipes, it's flavorful and fabulous. I like making this as a side dish for lots of meals, whether it's turkey meatloaf, burgers, or fish. 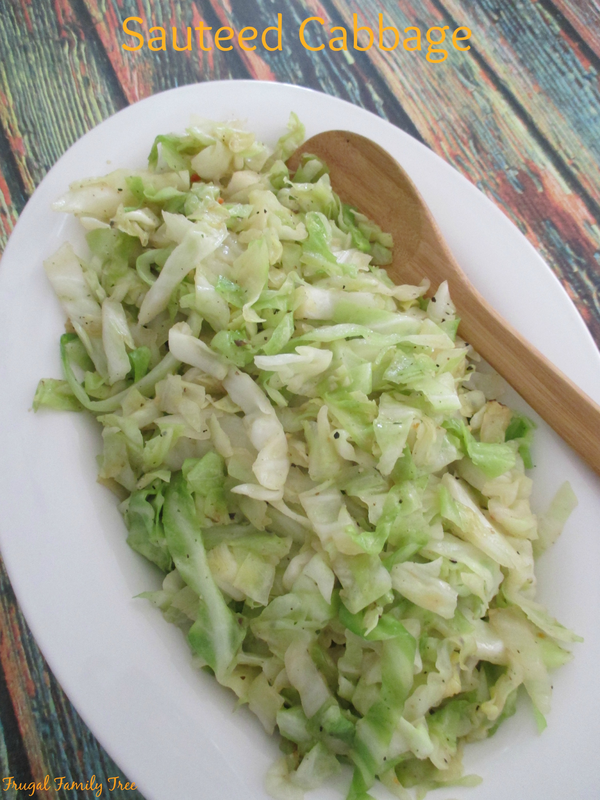 Serve this to the people you know that don't like cabbage and they just might change their minds. I made this for lunch the other day and my two daughters loved it, and they never eat cabbage. It's also a better way to make your cabbage on Saint Patrick's Day this year. I love corn beef and cabbage on that day, but not when the cabbage has been cooked in the same pot with the corn beef. This version is much better I think, and definitely looks more appealing. The only change I made in Ina's recipe is to add some Mrs. Dash to it. I love the flavor it adds to dishes without adding any extra salt. 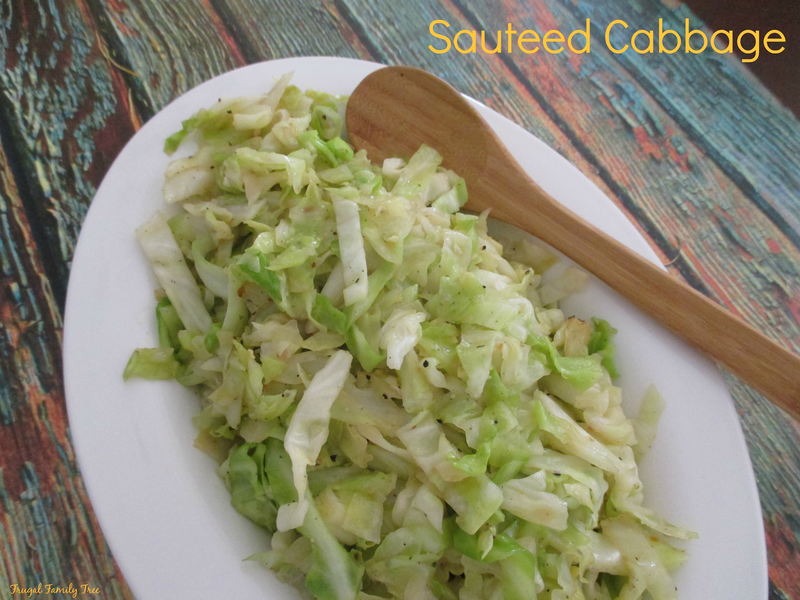 Cut the cabbage in half and, with the cut-side down, slice it as thinly as possible around the core, as though you were making coleslaw. salt, and pepper and saute for 10 to 15 minutes, stirring occasionally, until the cabbage is tender and begins to brown. Season, to taste, and serve warm.